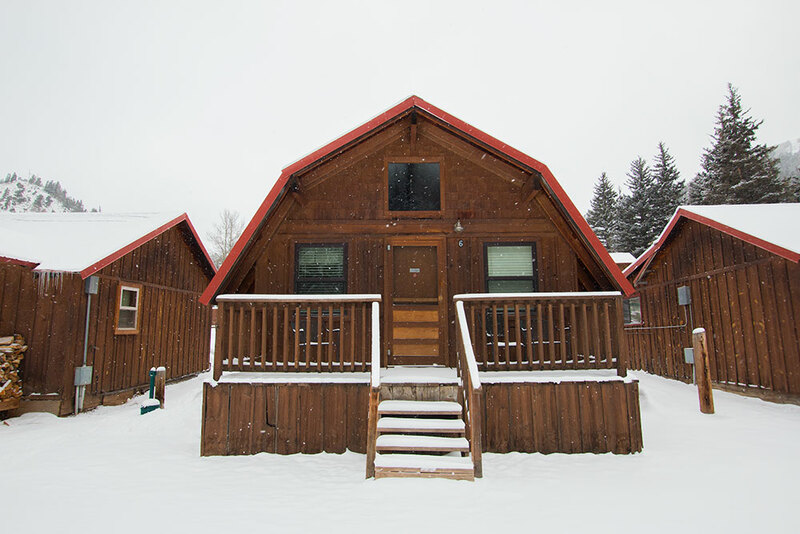 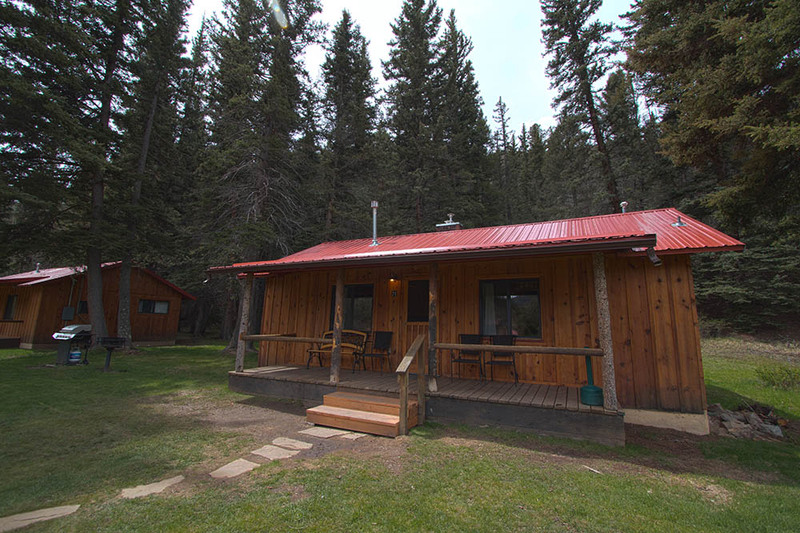 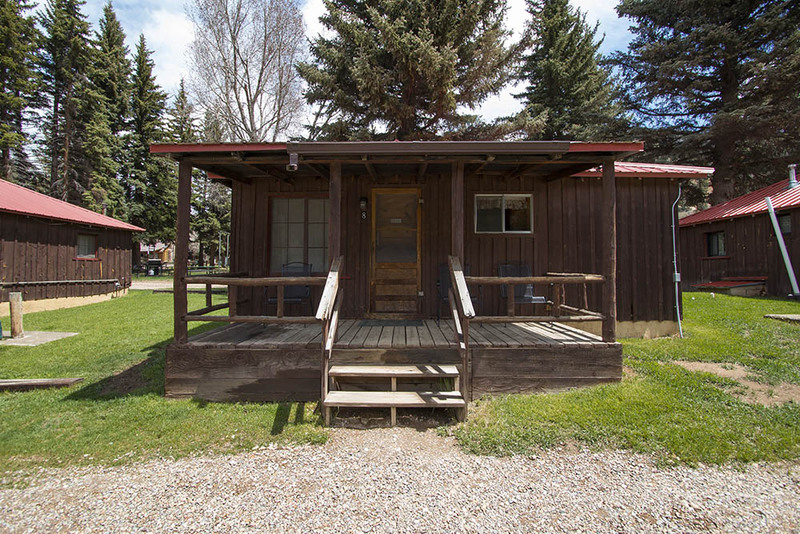 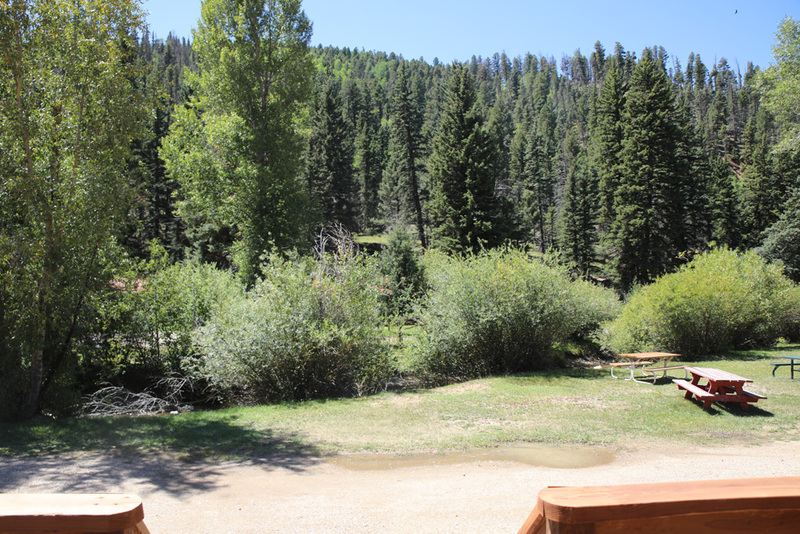 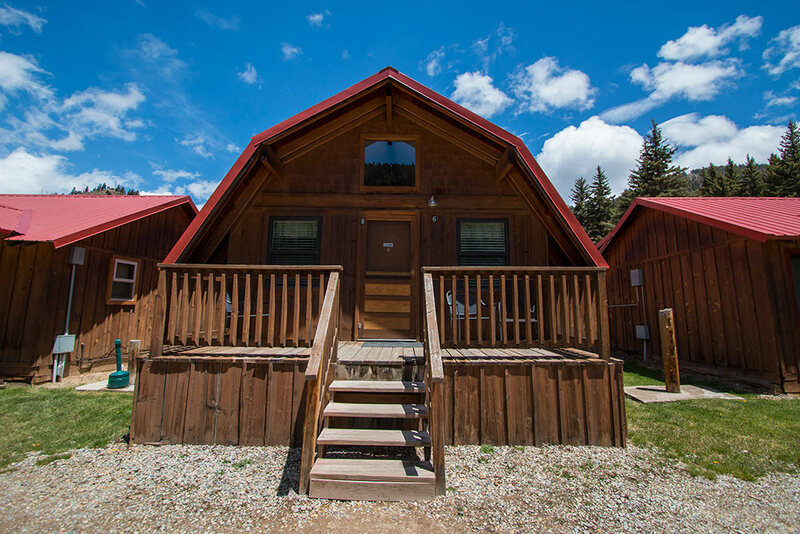 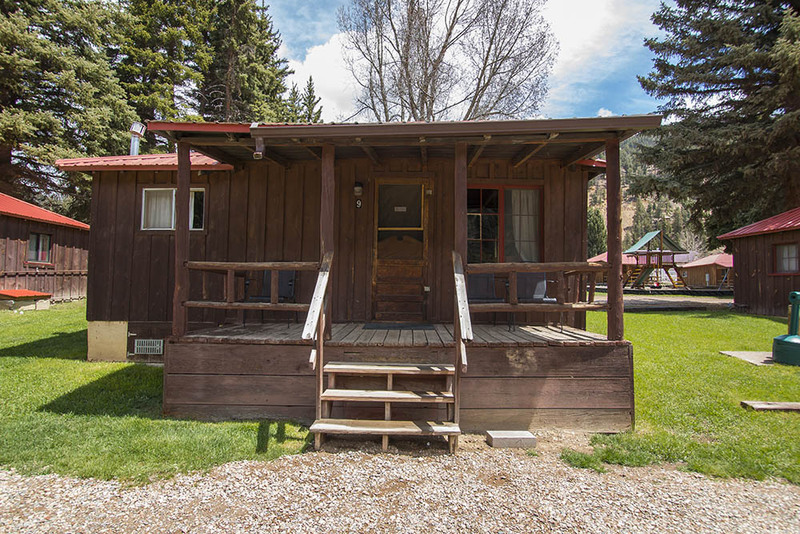 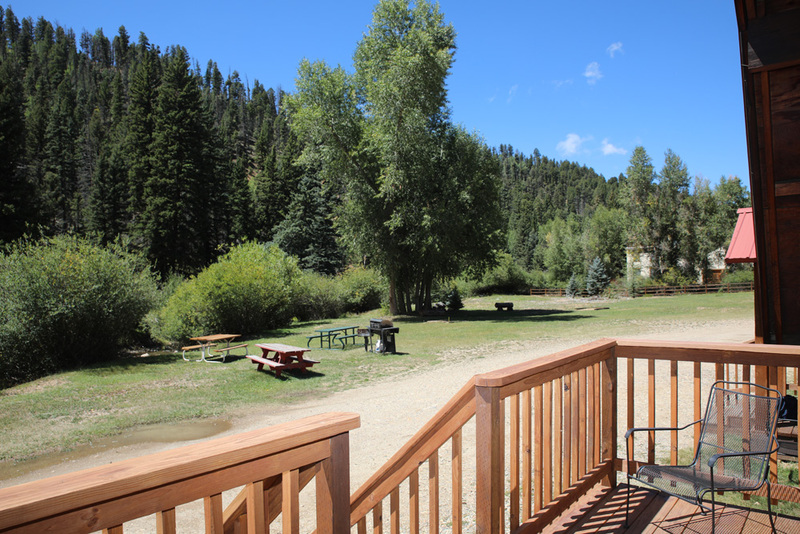 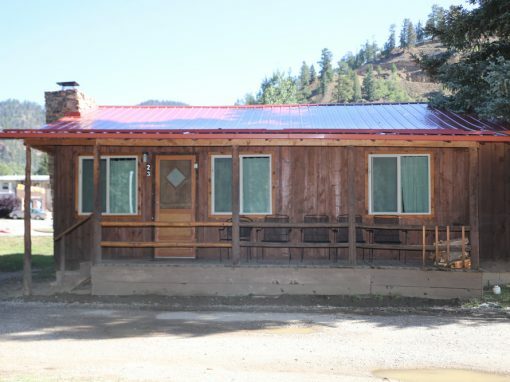 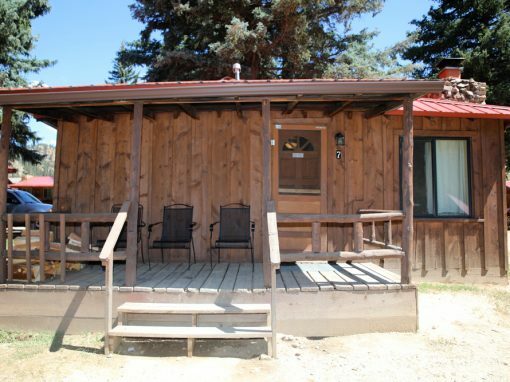 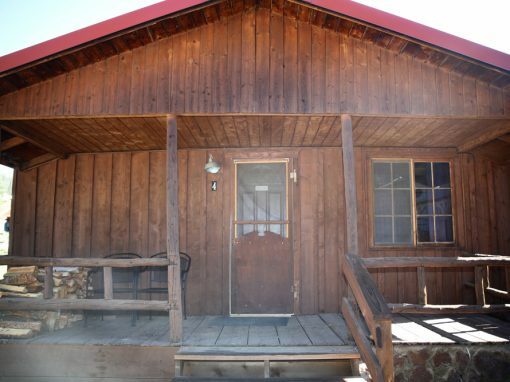 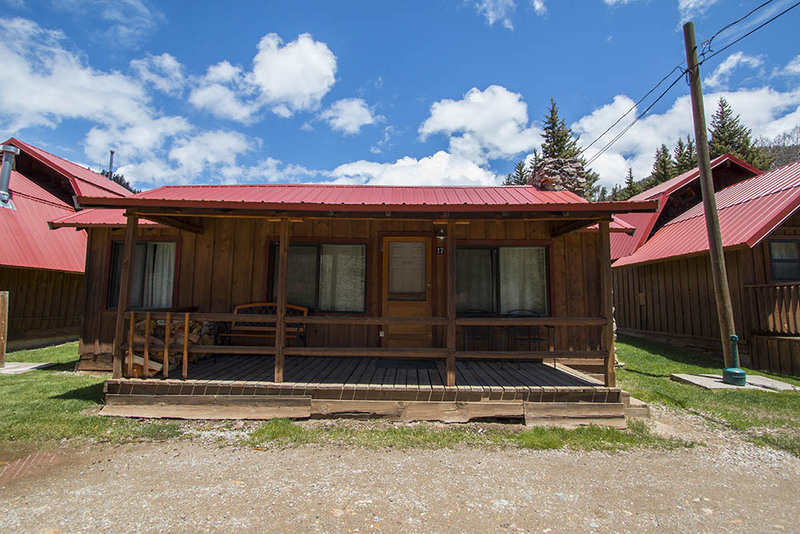 Cabin 6 is nestled between cabins 17 and 18. 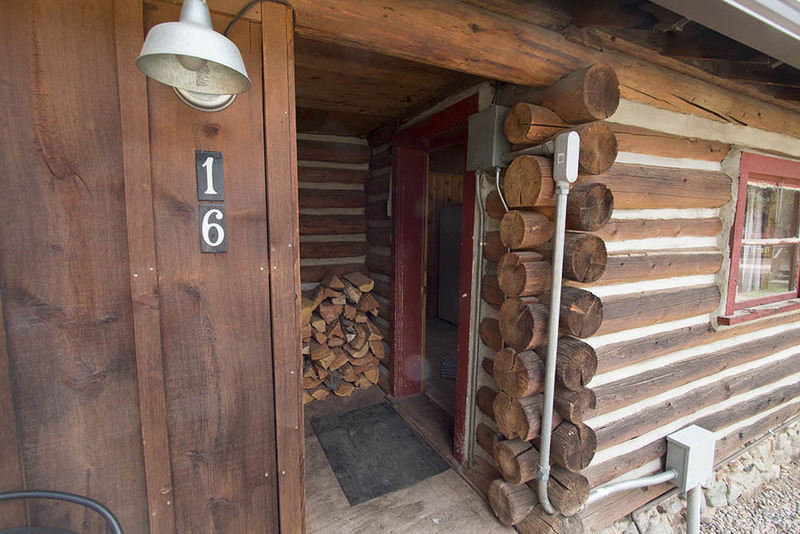 We know the numbers don’t make sense, it’s just the way they did things in the old days! 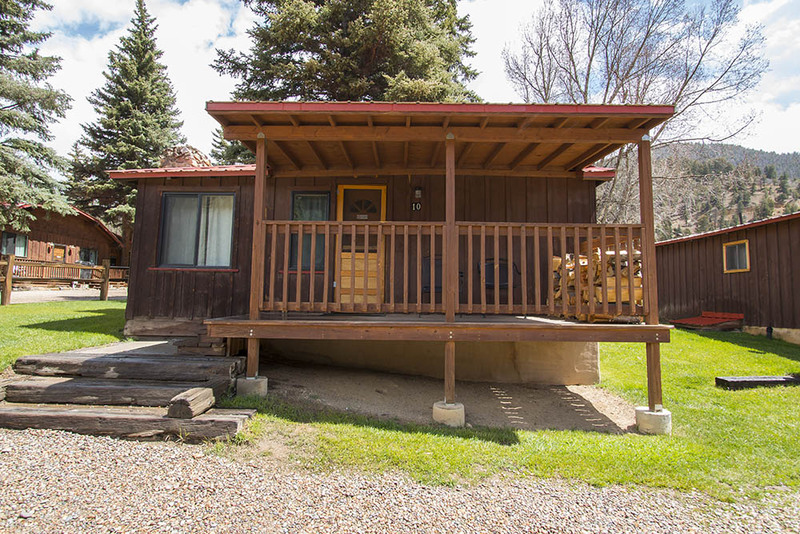 Cabin 6 faces the river and has great views of the mountains. 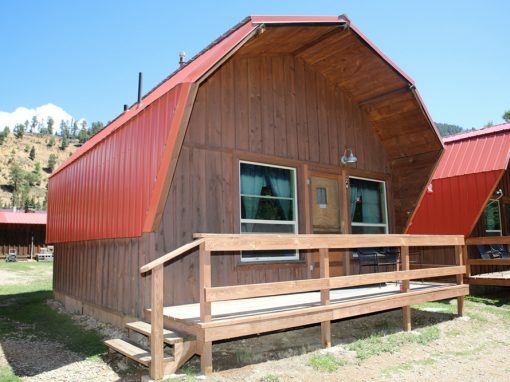 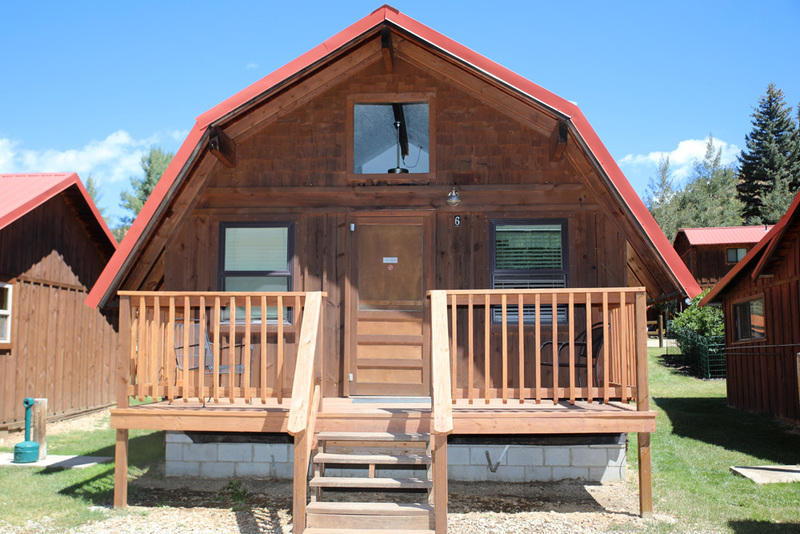 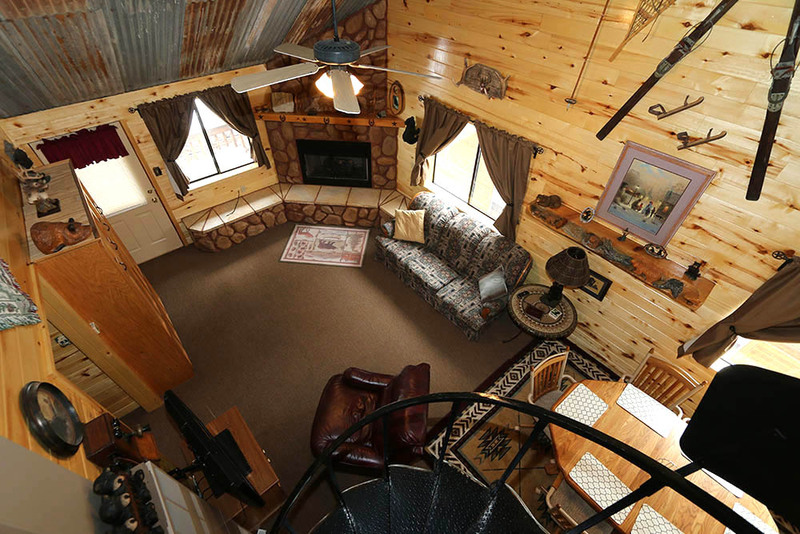 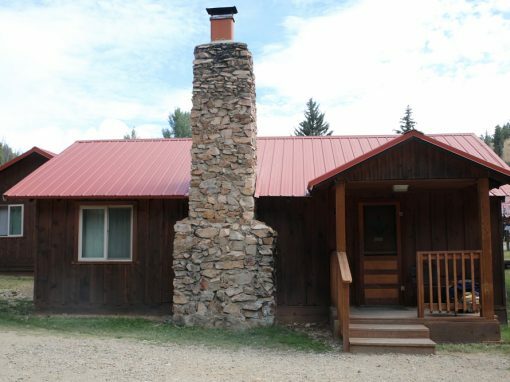 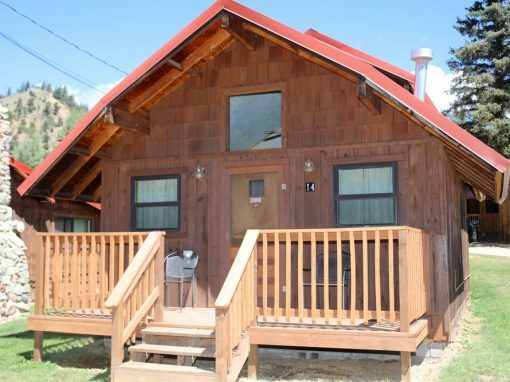 Cabin 6 is a 1 bedroom loft cabin. 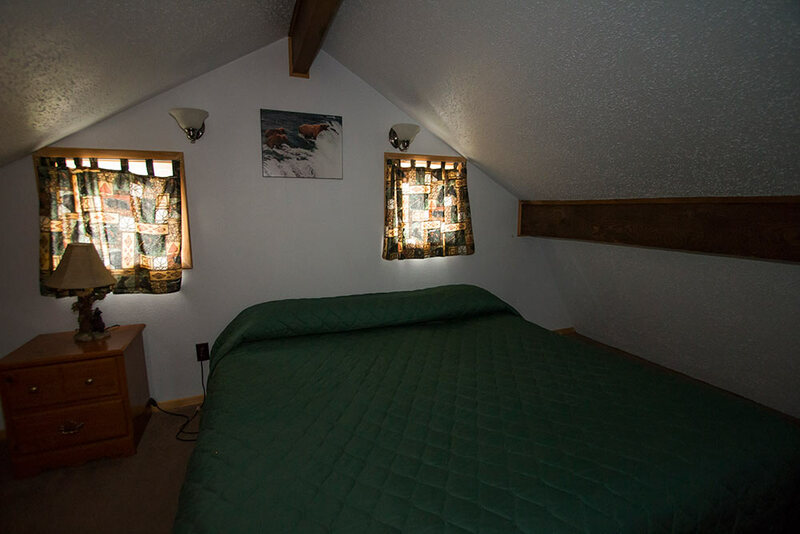 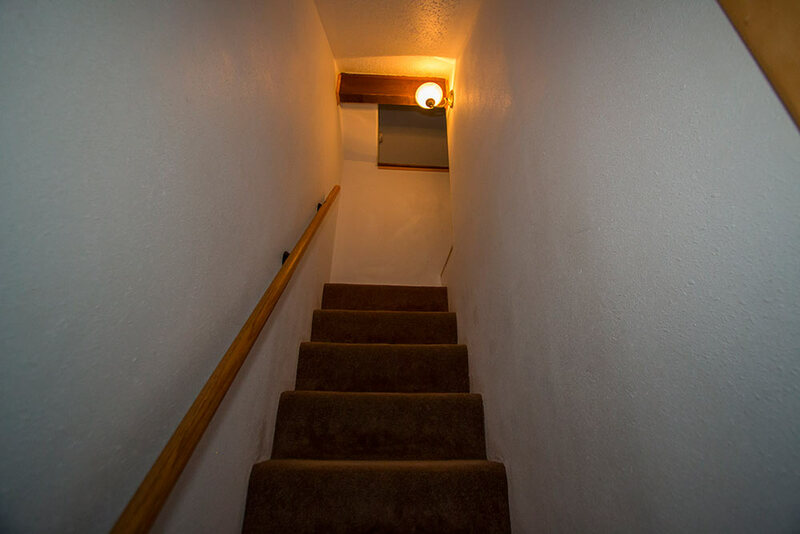 There is 1 king bed in the upstairs loft that is accessible by a carpeted staircase. 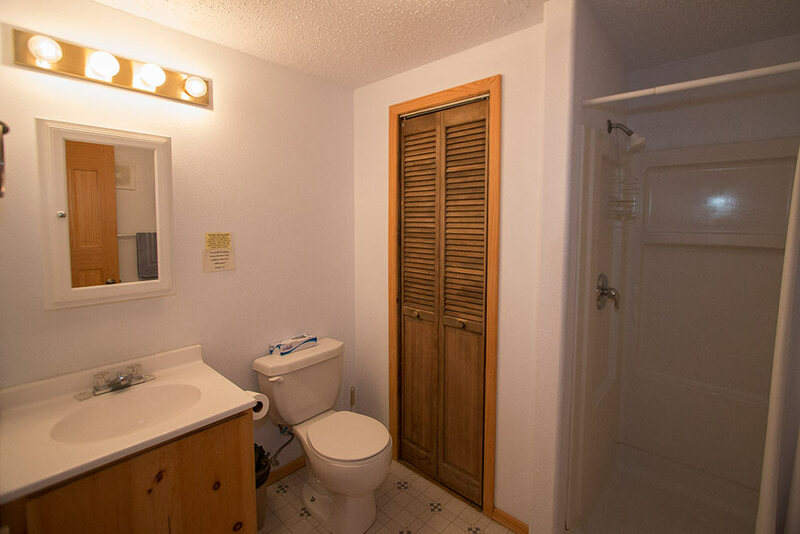 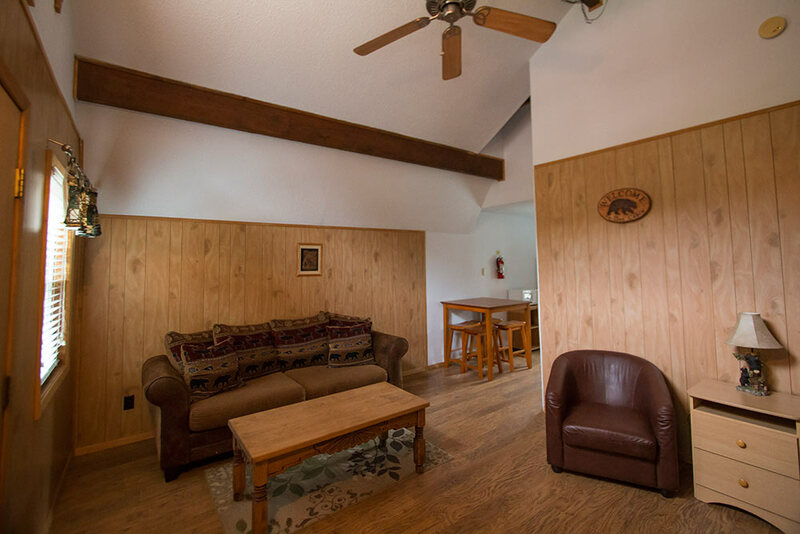 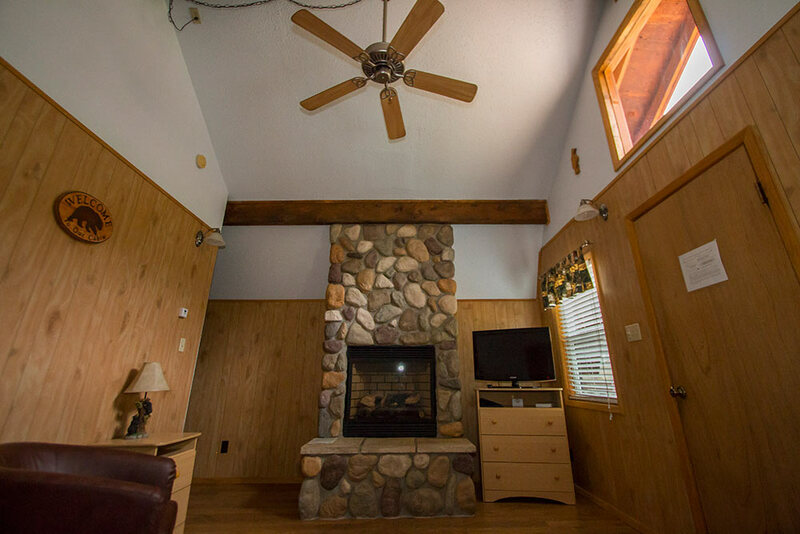 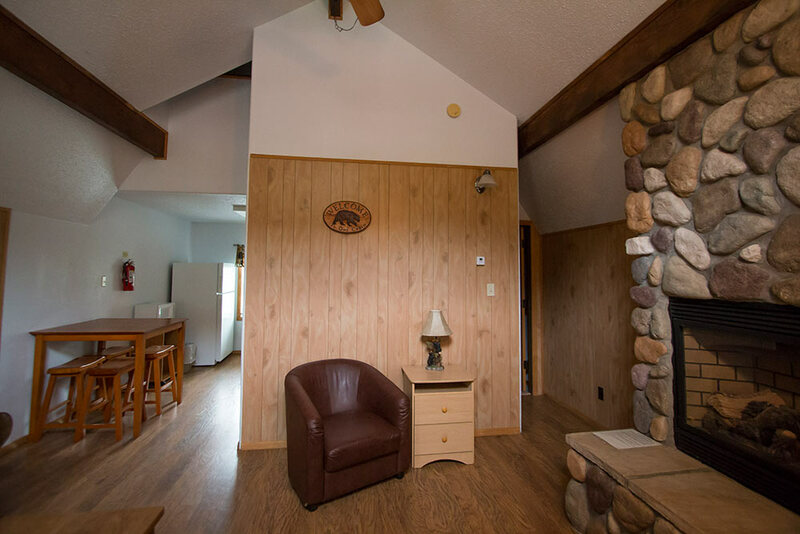 On the main floor is the living room with queen sofa bed, gas fireplace, full size kitchen and bathroom with shower. 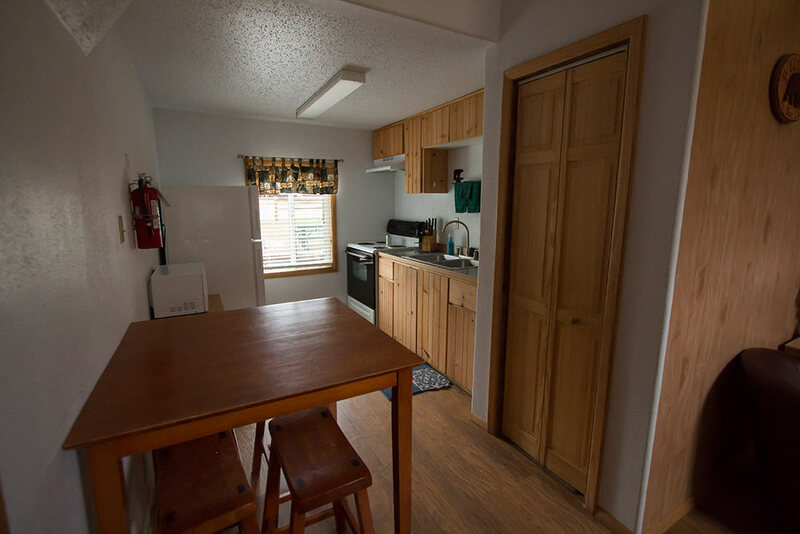 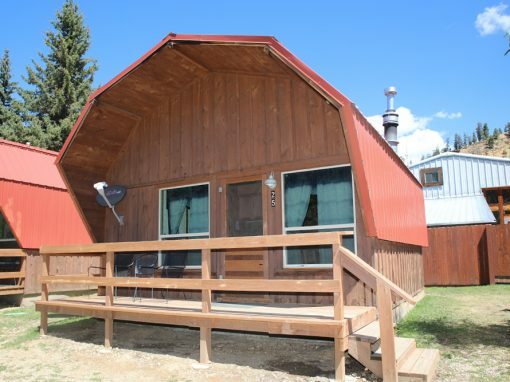 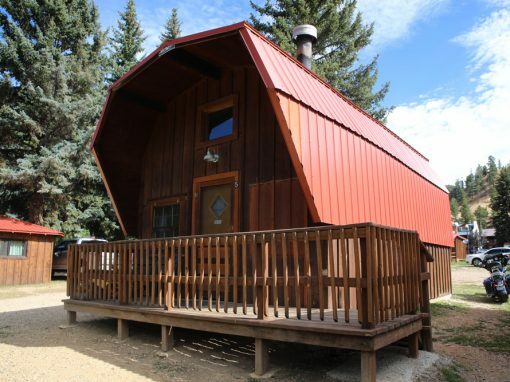 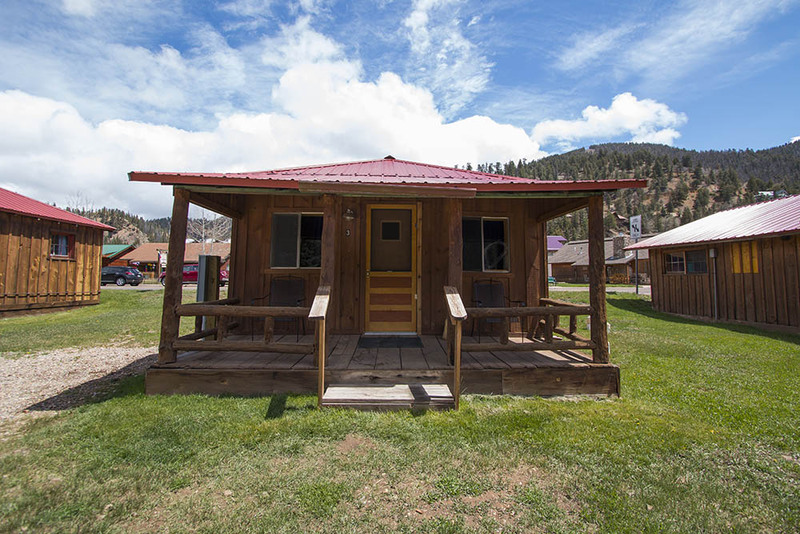 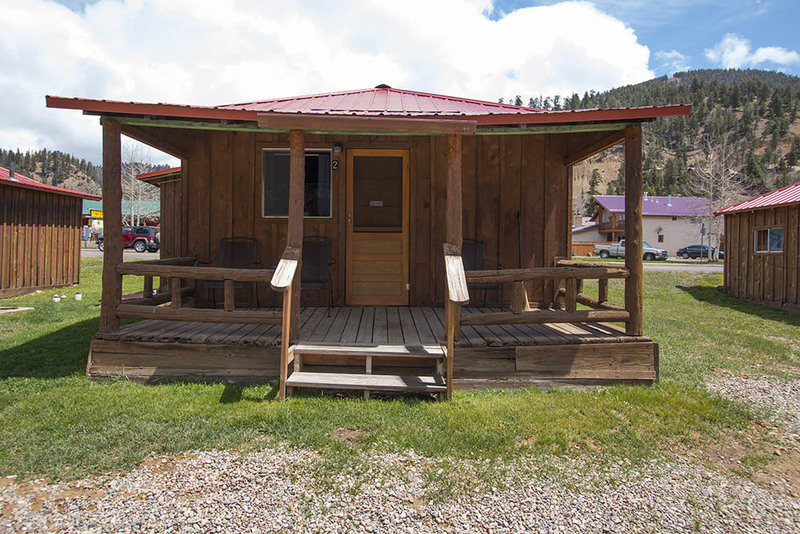 This cabin will accommodate a maximum of 4 people including children. 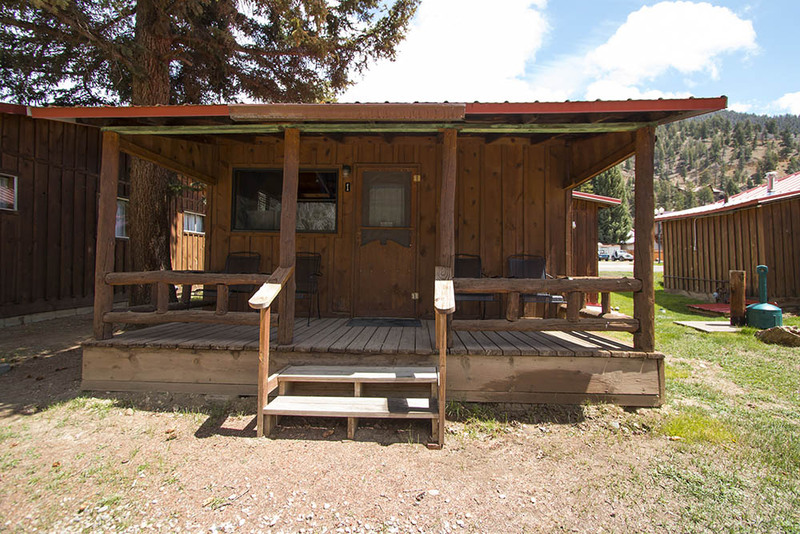 Cabin 6 has a nice semi-covered porch that faces the river. 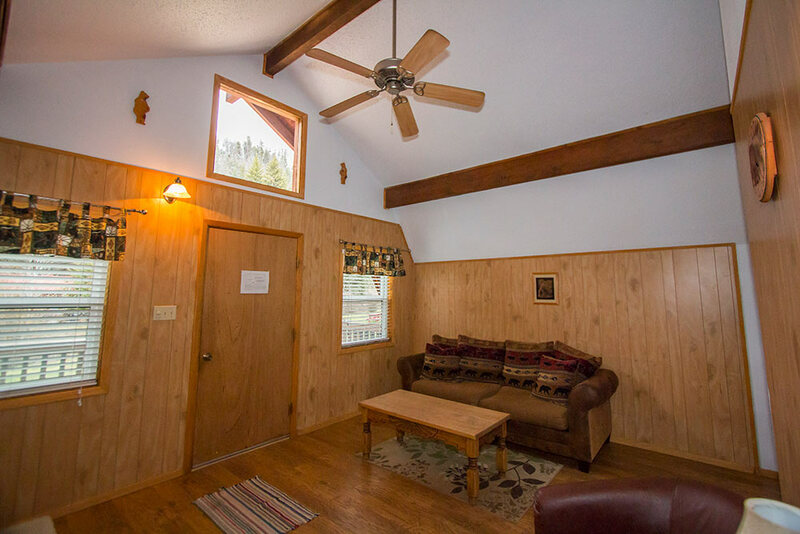 The river sounds are easily allowed inside by opening a window or door. 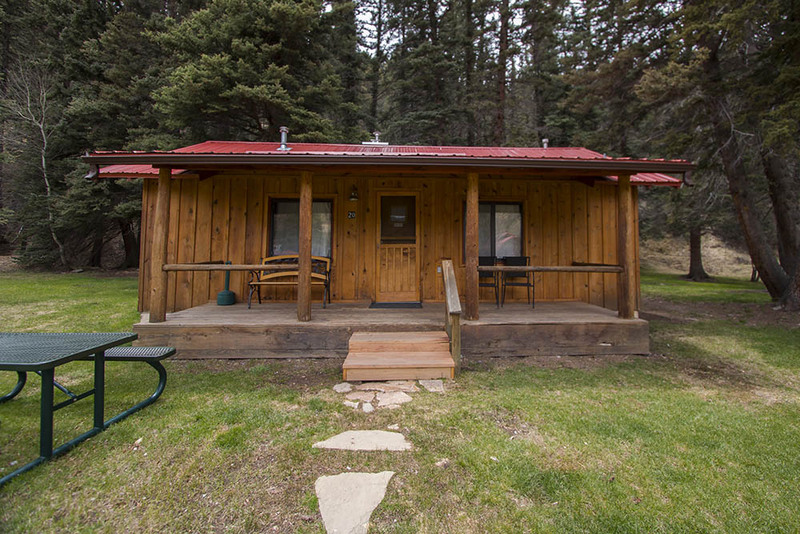 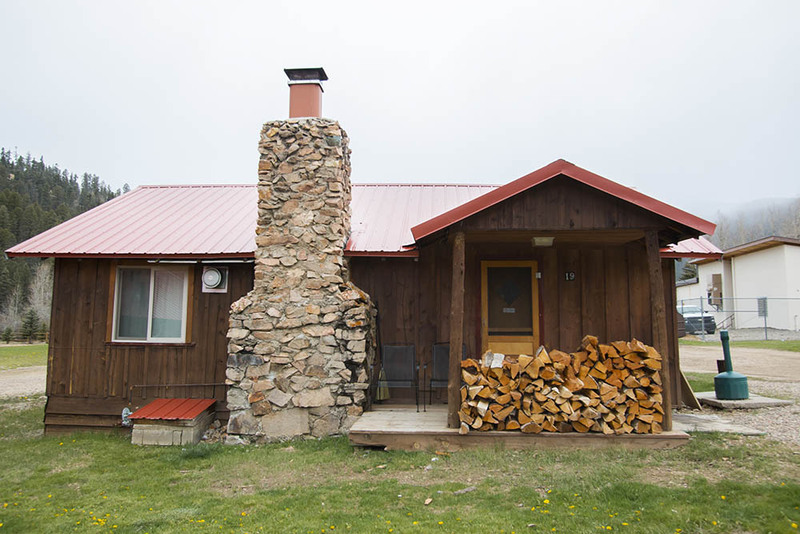 Cabin 6 is non-smoking and cannot accommodate pets.